The challenge was to create a window that could stay up for months at a time without getting stale. 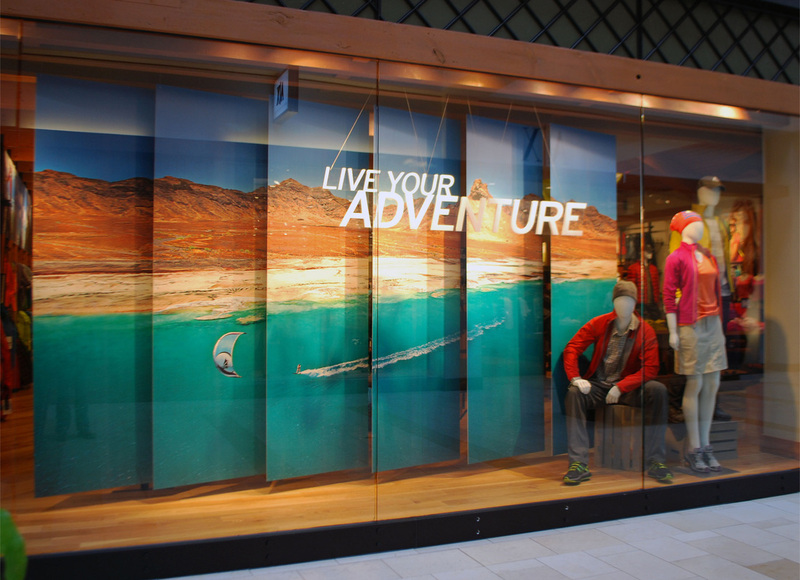 Collaborating with our Visual team, the solution was a two sided panel that can flip around and act as a backdrop to pulsed sale messages. Trying to get more movement in the window, the images were printed on panels that hung at an angle. 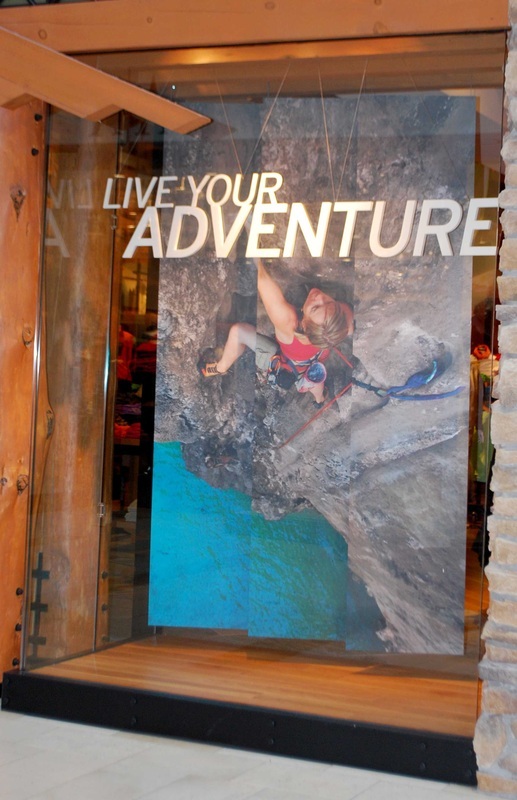 Dimensional letters on a plexi backing created the brand message.